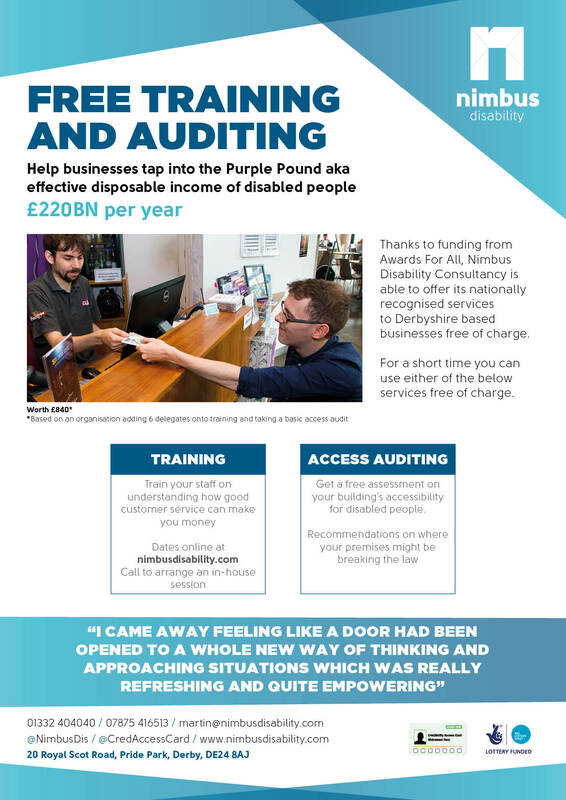 Thanks to funding from Awards for All Nimbus Disability Consultancy is able to offer its nationally recognised Disability Equality Training to Derbyshire based individuals and businesses free of charge. The workshops are led by Nimbus Disability, a consultancy service working across a range of industries providing practical and tangible support in meeting and exceeding legal obligations toward disabled people. 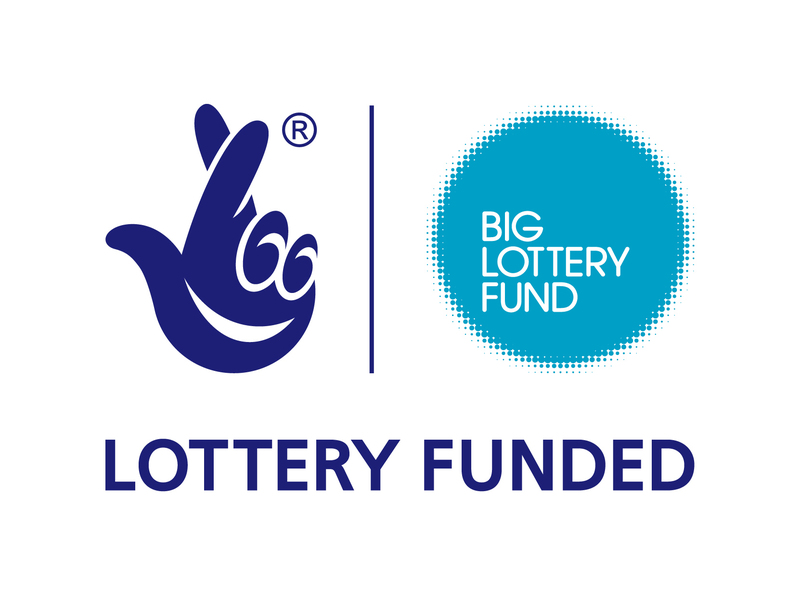 Its portfolio of services includes The Access Card, the first scheme of its type in the UK offering a universal and consistent way of disabled people evidencing and communicating their needs to providers quickly and discreetly. Sally Blake is Lead Consultant at Nimbus and an industry leading expert in the practical implementation of services for disabled people. As Senior Disabled Access Coordinator for Live Nation Entertainment, Sally had extensive experience in the delivery of large-scale, nationally-focused events from all aspects, from policy creation and implementation, to site management. Her work has included standardising disabled access policies and procedures, delivering disability Equality Act training, gaining accreditation for services for disabled people and overseeing all communication and information regarding ticket booking, on-site services and facilities for disabled customers attending events, including many on greenfield sites. Part of the funding also allows us to deliver free Access Audits and appraisals of your premises so get in touch for more information.